the event is also being live streamed at the Icom America web site. Don’t forget D-Star live is coming up this weekend, March 11, 2017 in Lawrenceville, GA. The event will also be live streamed. Read more at the Icom America site and at D-Star Info. I had a blast in 2016 participating in National Parks on the Air (“NPOTA”). 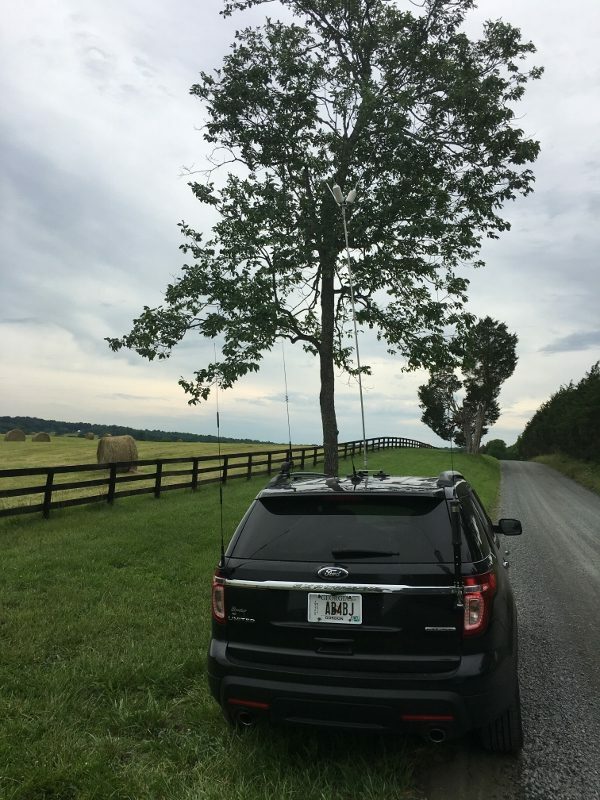 It was one of the best ham radio experiences I have ever had in 26 years as a licensed amateur radio operator. 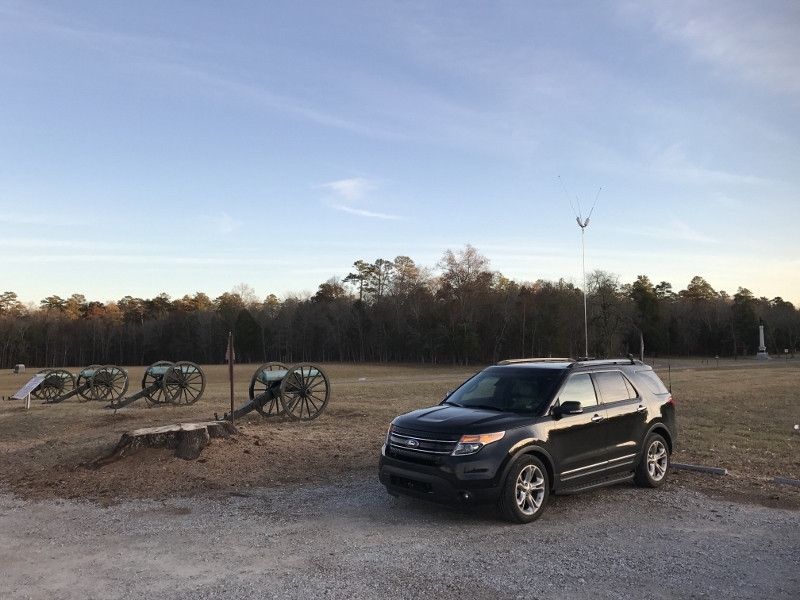 When I started out with NPOTA in January, I had very little experience as a portable operator and began to stumble through the process of setting up a portable station. 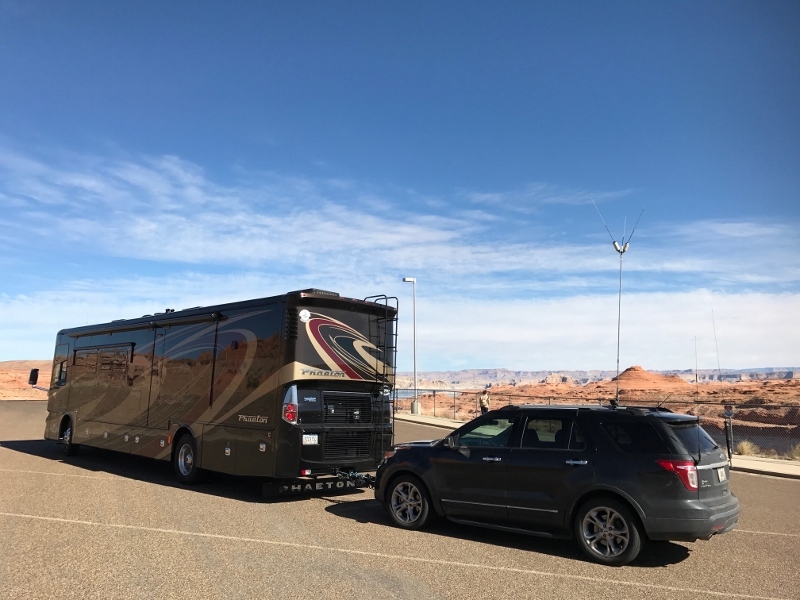 I purchased a Budipole system that worked very well, but soon realized that I preferred to operate NPOTA park units from my vehicle as a portable operator, i.e., stationary. After seeing the setup used by Bob Voss, N4CD, for NPOTA and county hunting, I emailed him for some of the specifics. Bob was very helpful and gave me great advice. 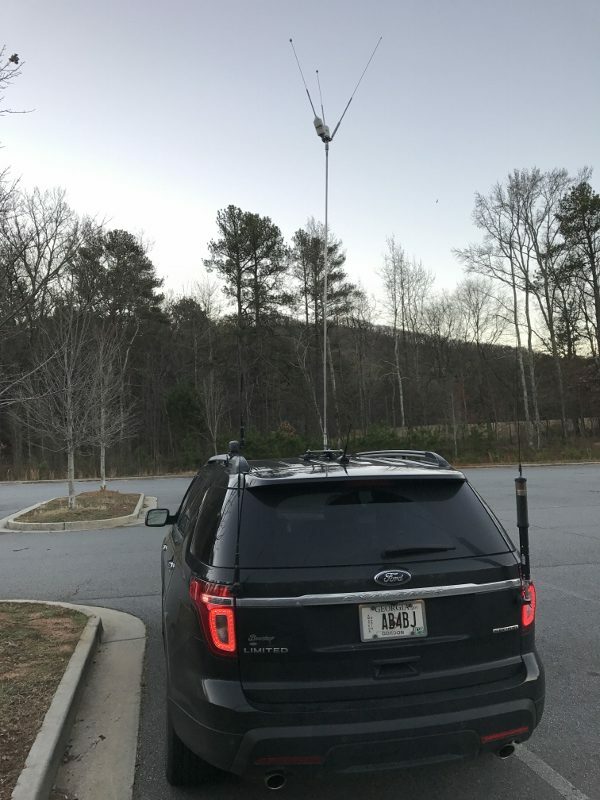 Armed with Bob’s advice and a general idea of how I wanted to set up the portable/mobile station, I got to work and created an antenna system that performed very well. 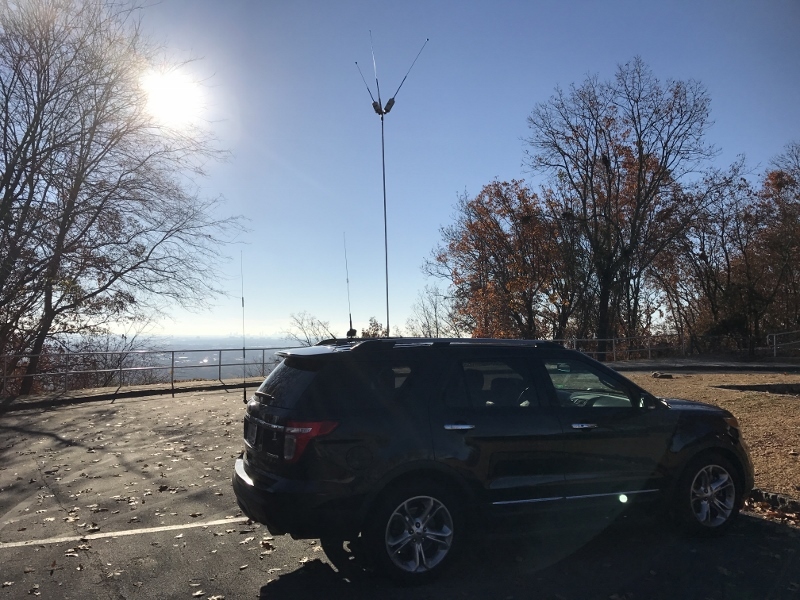 As the NPOTA year progressed and I activated 65 unique parks for a total activation count of 280, this antenna system never failed me, always got good signal reports and was very quick to set up and take down. 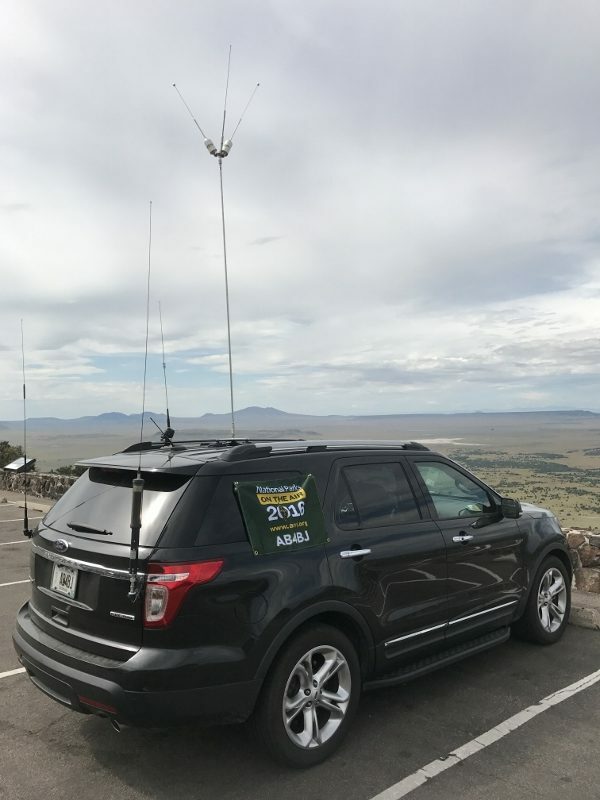 Many hams have asked about the specifics of this antenna, so I thought I would share the information in this post. The mag mount came with coax assembly that had to be mounted into the center hole of the tri-foot mag mount base. Make sure the antenna mount is a 3/8-24 female thread. 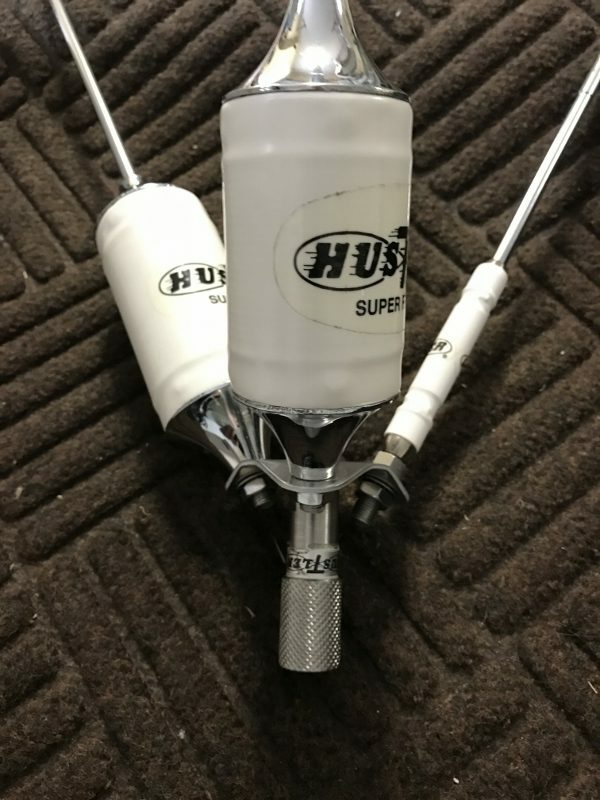 Connect the three Hustler resonators to the HSR-VP-1 tri-band resonator adapter with supplied hardware. 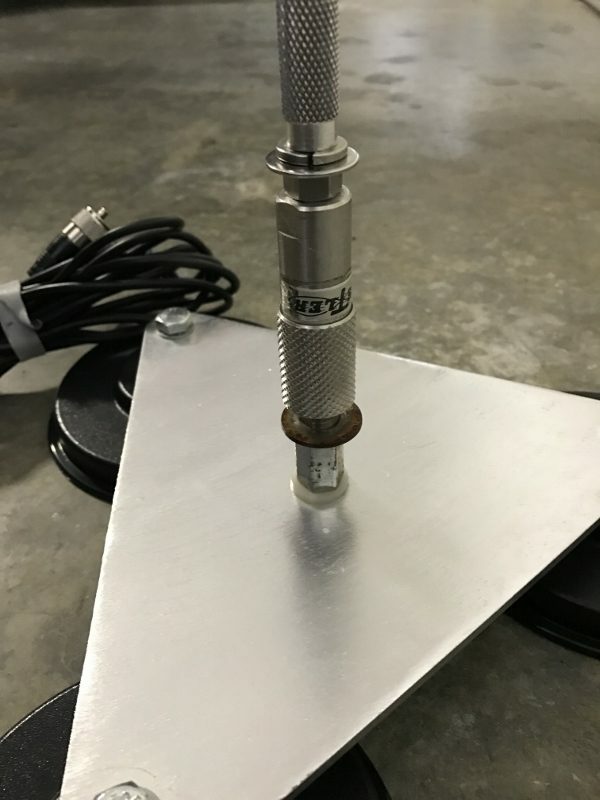 Attach a HSR-QD-2 quick disconnect to each end of the DXE-MT-72 mast. 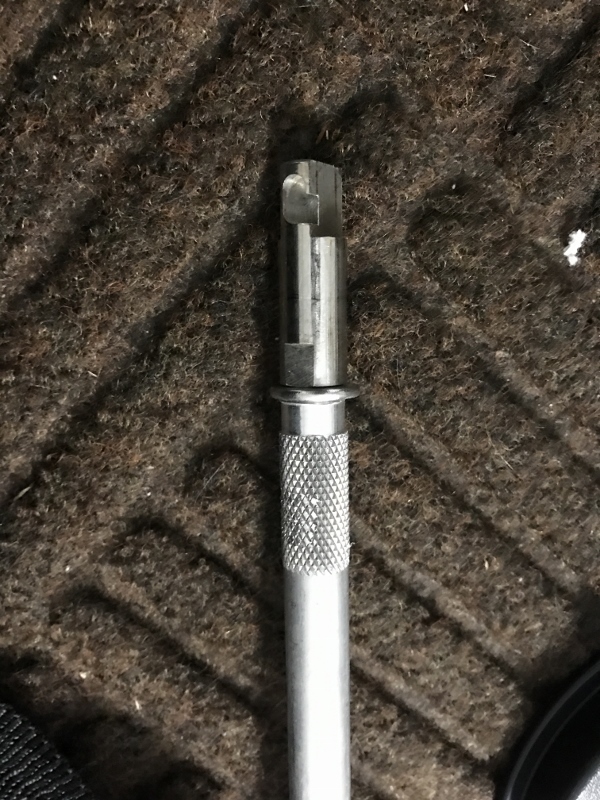 You may need the DXE-5MTCF-1 threads for these and other connections. 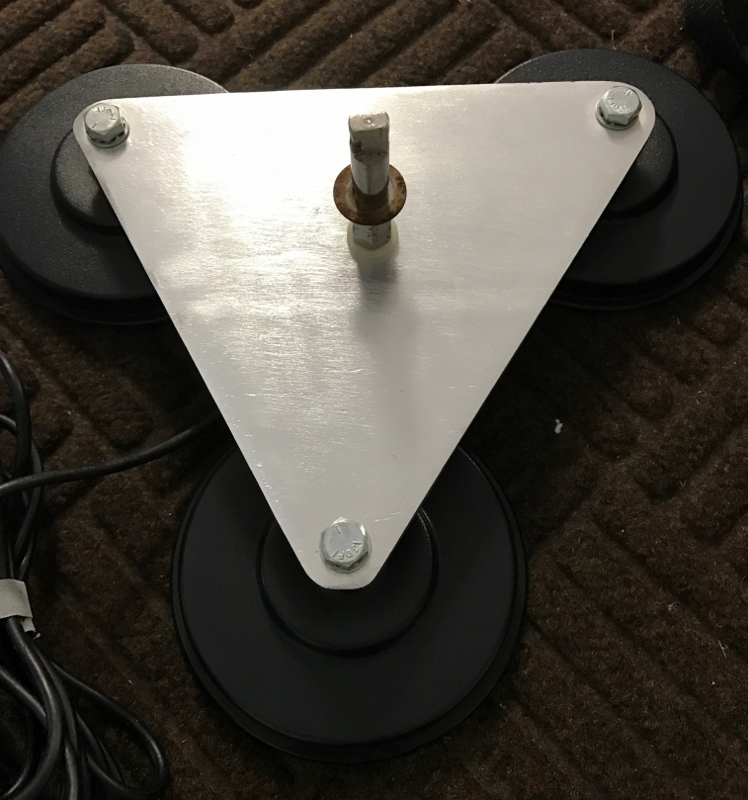 The goal is to be able to quickly connect and disconnect the top section of three resonators from the mast and the mast from the mag mount assembly. 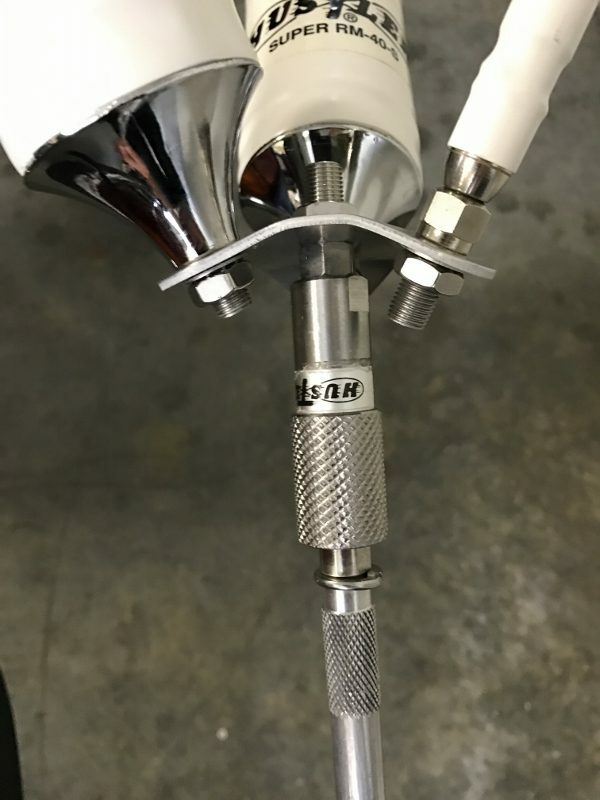 When completely assembled and ready to use, the top resonator assembly will be connected by HSR-QD-2 quick disconnect to the top of the mast and the bottom of the mast will be connected by HSR-QD-2 quick disconnect to the mag mount base. I believe that the key to the very good performance is the 72 inch mast (as opposed to a shorter version). After my initial assembly of the antenna, I spent quite a bit of time trimming the radials of each resonator to get the best SWR. I used a Rig Expert AA-600 antenna analyzer to assist in this process. 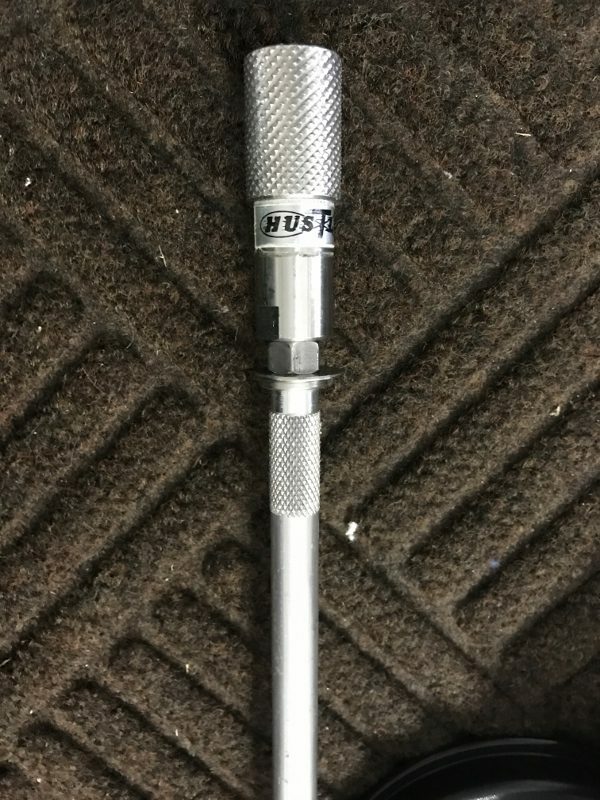 The key to quick set up and removal are the two Hustler QD-2 quick disconnects I have on each end of the mast. 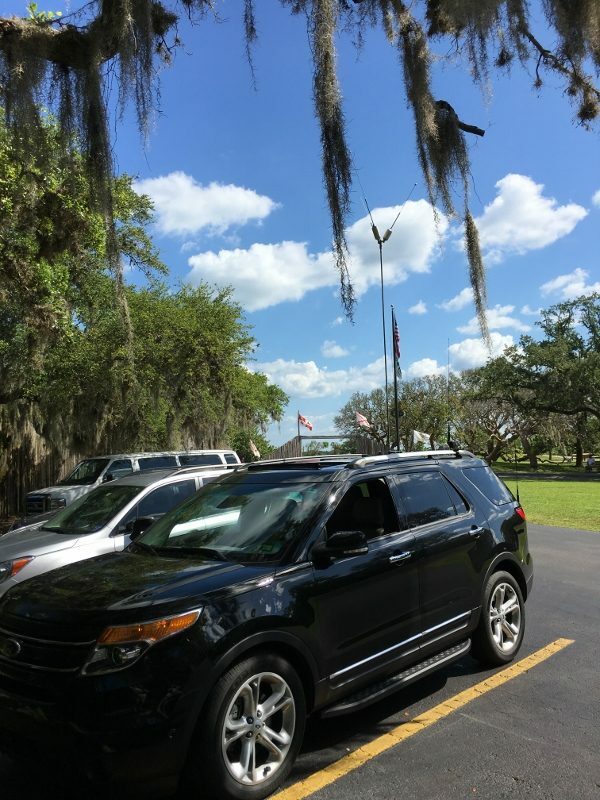 I have found that I can set up or remove the antenna from the top of the SUV in about 5 seconds (leaving the mag mount on the roof). Please let me know if you have any questions about this antenna. Although I am always a proud father, I really enjoyed Will’s (AA4WJ) interview with Tim Duffy (K3LR) at DX Engineering. They discuss Will’s entry into the ham radio hobby, and his thoughts about the future of ham radio. They also talk about the Icom product line and the IC-7300. The future is bright! Here’s the video from the DX Engineering You Tube Channel. One of the great features on Icom’s flagship IC-7851 is the ability to have two scopes on the display at the same time. Each scope will display the information for the frequency, mode and antenna that is active on each receiver. The scope can be displayed vertically (side-by-side) or horizontally (top and bottom), depending on your preference. The dual scopes will also display on the high resolution monitor you have connected to the IC-7851. An additional cool and very useful feature of the IC-7851 is the ability to connect a mouse to the radio and click on a signal that is displayed on either scope. This makes it much easier to quickly tune to the signal you are seeing on the scope. Here is a video demonstrating this great dual scope feature.